The Old Hall in Ely is without doubt my most visited venue every year. It’s also one of my favourite venues to work in! 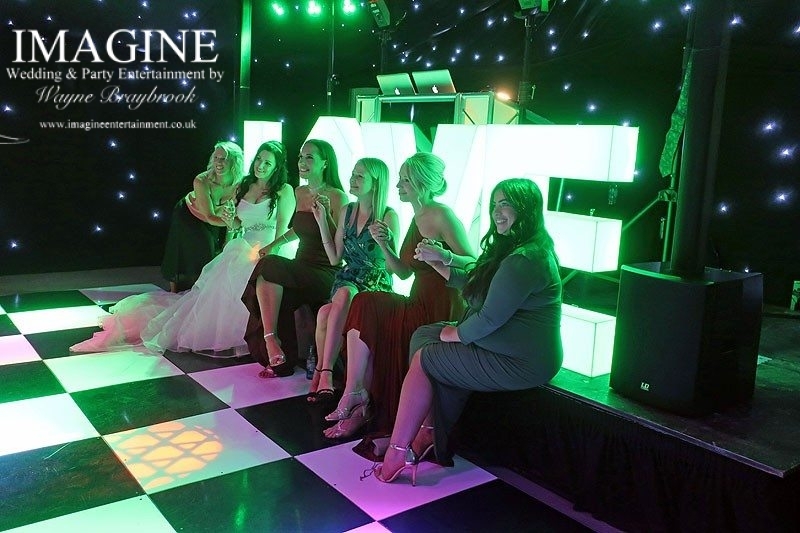 Alex and her team of wedding specialists work hard to make sure that every aspect of your wedding runs exactly the way you want it to, at the same time as being relaxed and friendly throughout your special day (believe me…I’ve worked in a lot of venues where the staff are like robots – that really ISN’T the case at The Old Hall!). 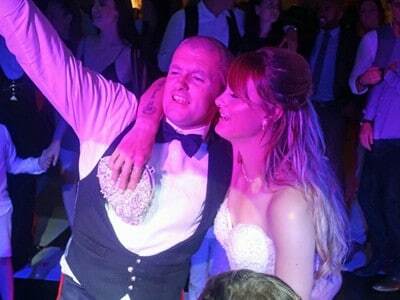 The Old Hall offers the perfect one-stop wedding solution. 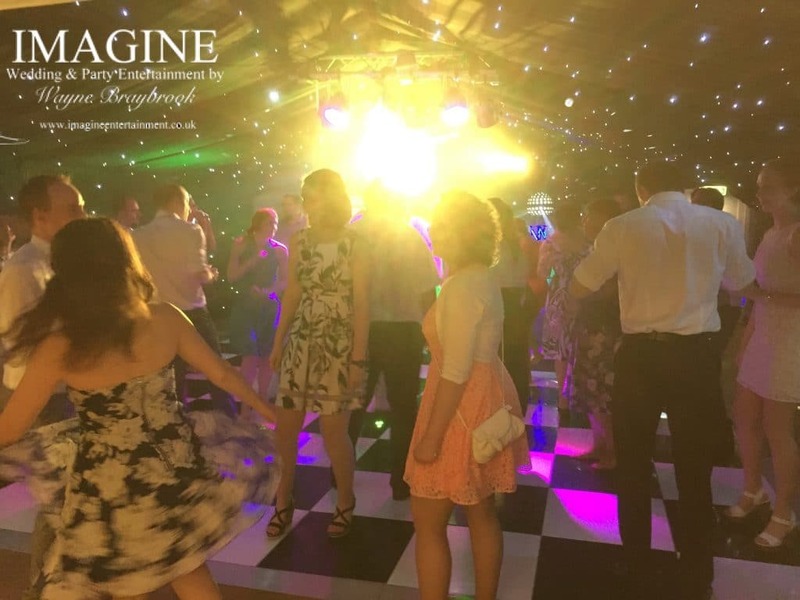 They’re licensed for marriage ceremonies which take place either outside when the weather permits or in the hall itself when it doesn’t, the wedding breakfast and of course, your evening reception. They even have guest rooms and a bridal suite so there’s no need to hurry off home at the end of the day! Your evening reception is the part where I come in. 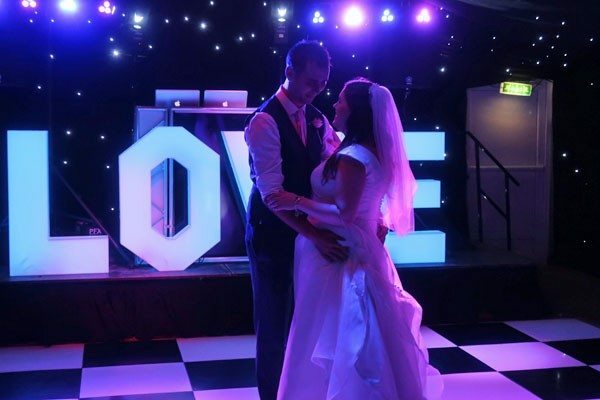 The Old Hall have their own facilities for the wedding ceremony and the wedding breakfast including music systems, wireless microphones and everything else you could need – so you won’t see me there during the daytime part of your wedding. 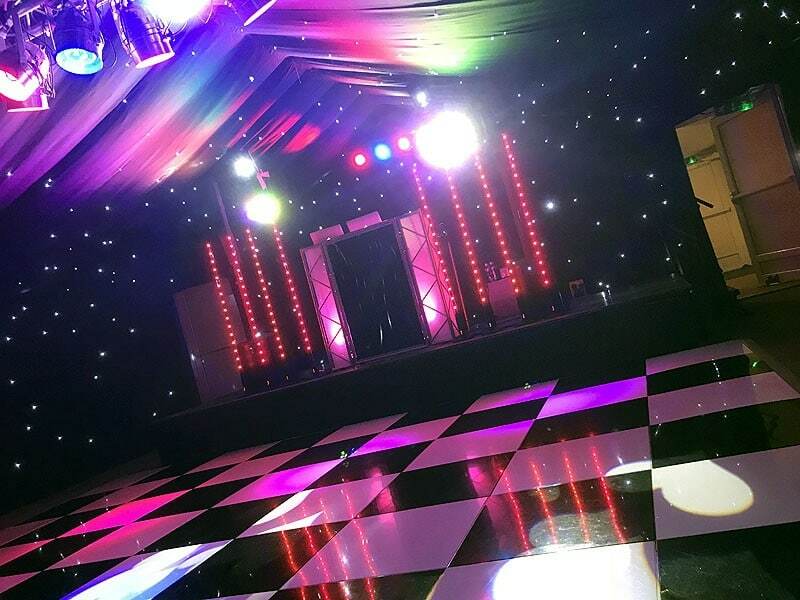 Hidden from the view of your guests is the starlit dance marquee. You will have been shown this during your tour of The Old Hall when you booked. 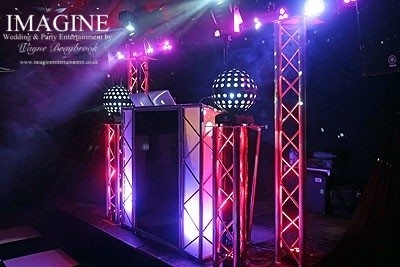 What you probably won’t have seen is what it looks like with lighting effects and just a little haze to pick out the beams of light on the dance floor. It’s almost theatrical, and despite having worked there on many occasions it always amazes me as to just how special the venue is. 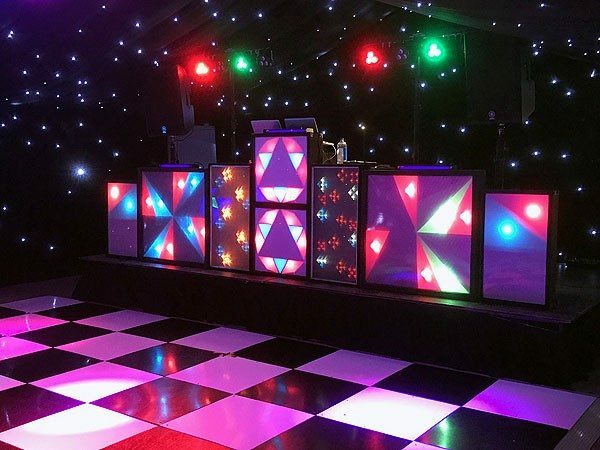 Here’s just a couple of examples of my own setup in the dance marquee, including my LOVE letter setup and my 80s Retro setup (for an 80s themed wedding). On the night itself, I’ll usually arrive between 60-90 minutes before your first dance. It gives me time to setup and check that everything’s working as it should be, and to gather my thoughts before “showtime”. You may well see me appear from behind the curtain to come and say hello to the evening staff and re-confirm the details of the evening. If you do…come and say hello! 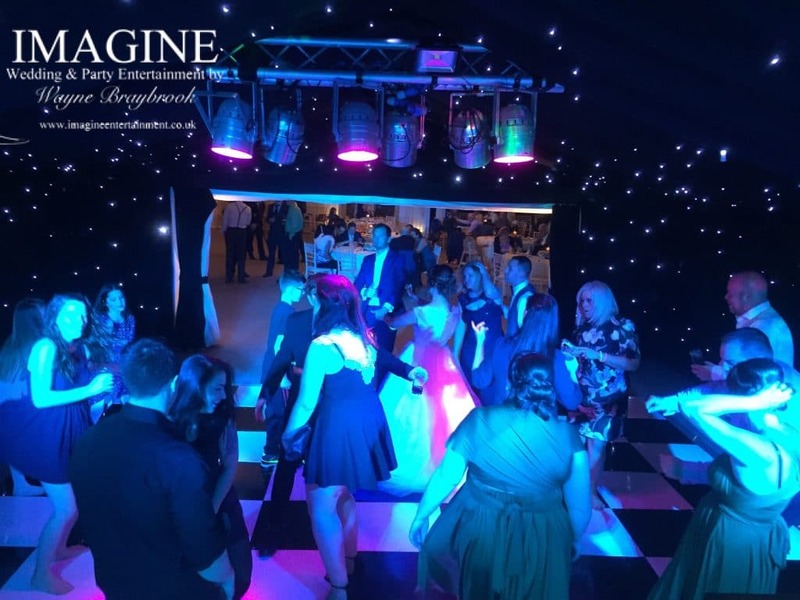 Around 5 minutes before it’s time to do your first dance, you’ll be led out of the main marquee and into the dance marquee via the “Green Room”. You’ll be there with your photographer, your wedding coordinator and of course me to do a dummy run of your first dance. 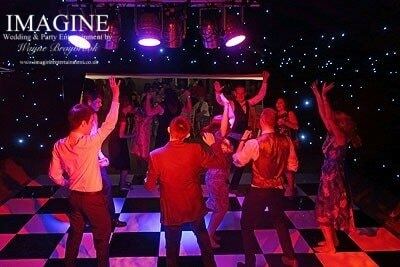 It’s an ideal time for your photographer to get some all important first dance shots without guests being in the photos (the curtain between the two marquees is closed at this point and your guests can’t see you). And then….the final formality of the day! 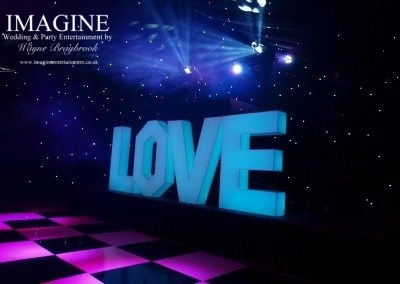 Your wedding coordinator will disappear through the curtain, call for your guests’ attention and announce that you’re about to do your first dance….this is the tense moment for you….and indeed for me, as the curtains are pulled aside to reveal you on the dance floor. 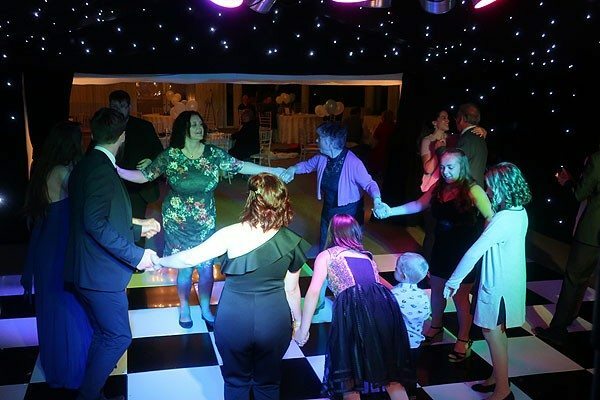 At this point, I’ll normally make a quick announcement on the microphone for your guests to gather around the dance floor rather than standing in the doorway to make things just that little bit more intimate. From there on….the party begins. What have previous couples said about my service at The Old Hall? Here’s just a small selection…. Thank you for giving us such a great evening we really enjoyed it! The photos look great as well. Made our night! Everyone tore up the dance floor since Wayne played to the crowd so well. Thank you for finishing off our special day in such a fantastic way. 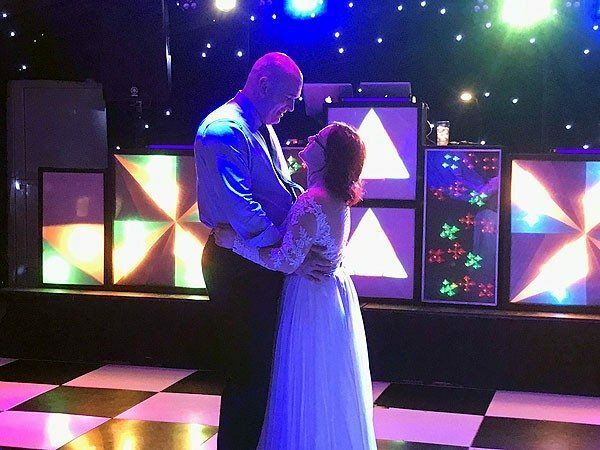 Just wanted to say a HUGE thank you for your work at our wedding, everything was amazing and lots of guests have commented how good you were with regards to requests. 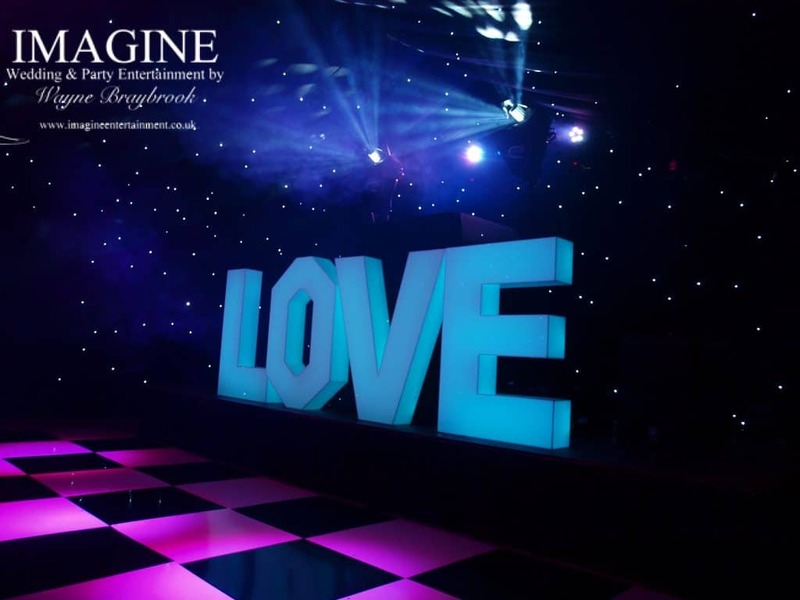 We loved the LOVE lights, they were an excellent finishing touch. 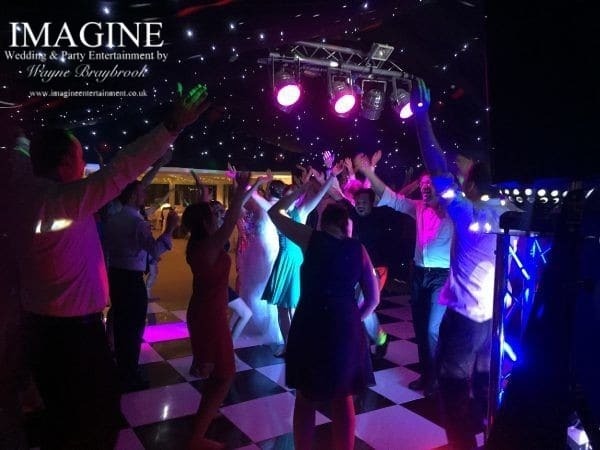 The music choices are completely up to you, the choice of lighting is completely up to you…in fact I tailor EVERYTHING I DO to meet your needs on your big day. Unfortunately all good things must come to an end. Local licensing requires that Last Orders are called at 11:30pm with Time at the bar being called at 11:45. The music MUST stop at midnight. Neither myself nor The Old Hall have any power to override that – it’s what’s written into the entertainment licenses of every venue in East Cambridgeshire unfortunately. 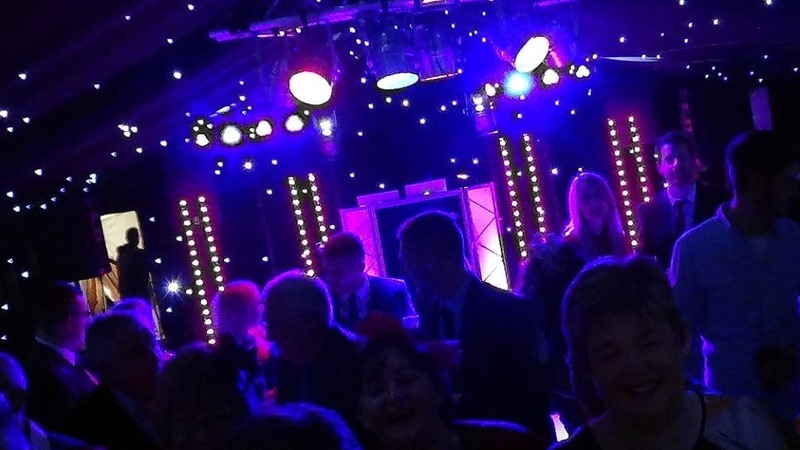 So…there’s an insight into how your evening could be at The Old Hall. 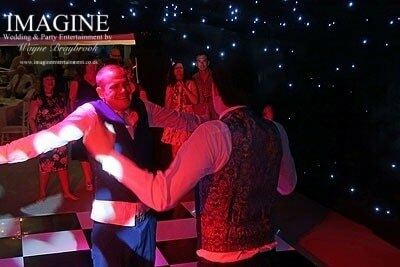 The only thing left to do is show you some pictures of previous weddings I’ve had the privilege of entertaining for in there…. Another outstanding night of dancing at The Old Hall in Ely. 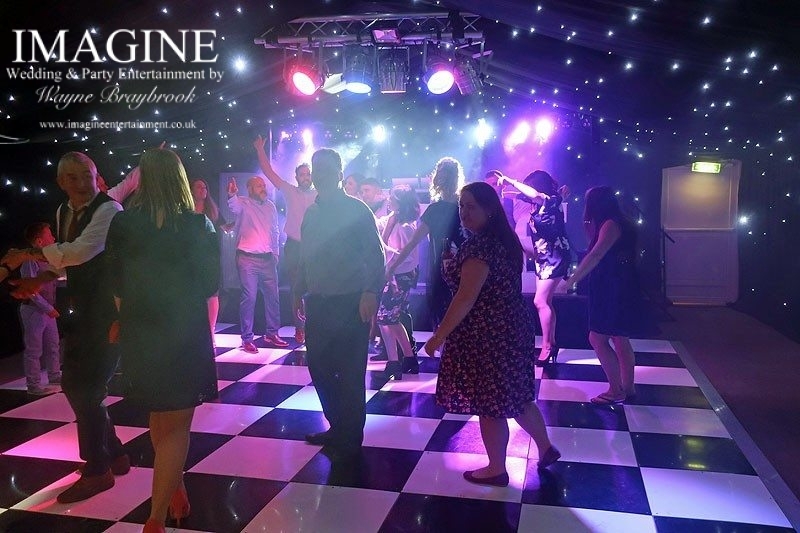 Wedding receptions on a Sunday night don’t come much more awesome than Alex and Becky’s celebrations at The Old Hall last night. 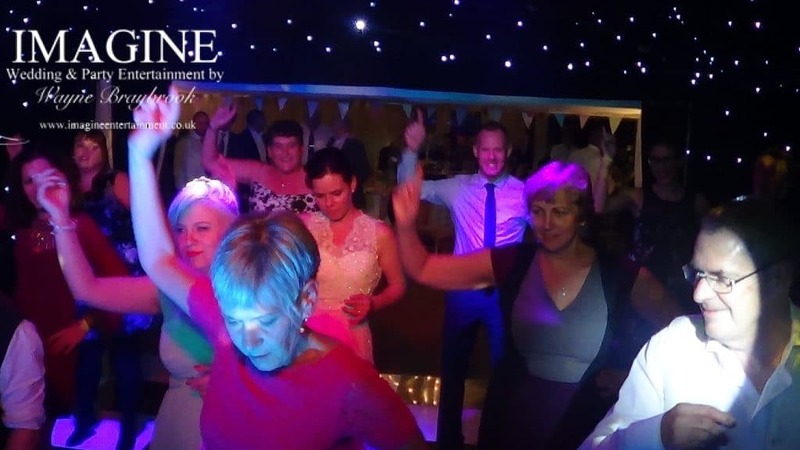 Tia and Chris’s wedding reception at The Old Hall in Ely featured music which was away from my comfort zone….and it was a lot of fun!